LOOKING GLASS Mirror-Like Finish adds a sleek mirror effect to any clear glass surface through reverse-side painting. 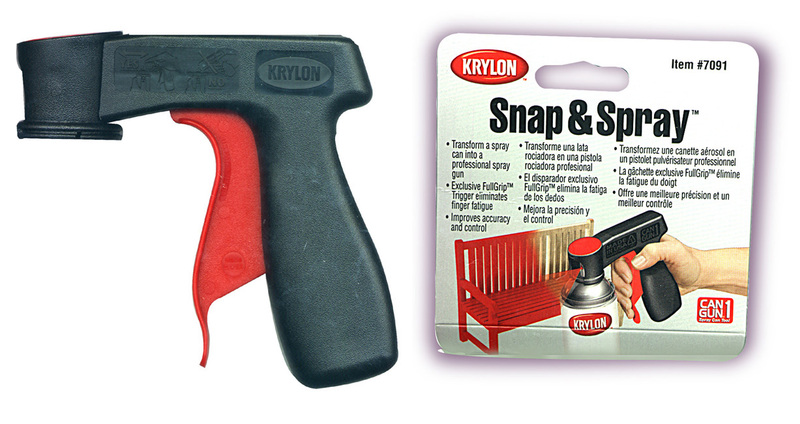 Can be used on clear glass objects such as picture frames, tabletops, vases, jars, planters and much more. Krylon "Looking Glass" has an EZ Touch 360° Dial Spray Tip which allows you to change direction of the fan spray for greater versatility. For use on clear glass. IMPORTANT SHIPPING NOTE: Government restrictions prevent shipping many aerosol spray products by AIR, including ALL Krylon Sprays. These Sprays CANNOT BE EXPORTED outside the U.S. with the exception of UPS ground shipments into most areas of Canada. Standard UPS and Parcel Post service within the continental U.S. is allowed. FLAMMABLE. Restricted Shipping Applies. See Important Shipping Information Below. Net wt. 6 fl. oz.